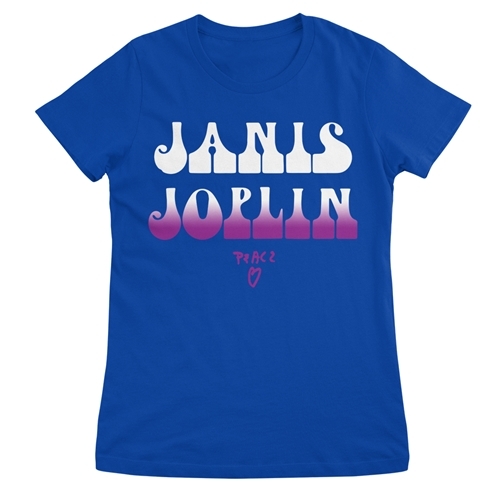 One unique thing about this official Janis Joplin t-shirt? The word "peace" and the heart were hand-drawn by Janis. Janis just wanted to sing the blues like her heroes like Bessie Smith, Billie Holliday and Big Mama Horton. But however she did it touched the world, and earned Joplin a place as one of the most celebrated musicians of the 20th century... even though she died at only 27. 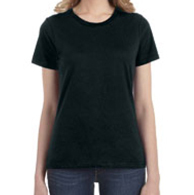 This is a comfortable 4.5oz preshrunk 100% combed & ringspun cotton Anvil ladies Janis Joplin t-shirt. Sizes run very true. These are not fitted, but lightly semi-contoured for a comfortable fit. Heather Grey is 90/10, any other heather colors are 60/40.